Ritsu Doan added to Yuya Osaka's two goals to ensure Asian Cup favourites Japan kicked off their tournament with a 3-2 win. Tom Rogic's injury-time winner over Syria confirmed Australia's place in the Asia Cup knockout rounds. Son-Heung min set up both goals as South Korea overcame China 2-0, with both teams still booking their place in the Round of 16. After failing to find the all-important winning goal against Jordan, Palestine must wait to find out their Asia Cup fate. After an opening Asia Cup defeat to Jordan, Australia looked much more comfortable in a 3-0 win against Palestine. The Samurai Blue face Uzbekistan in Al Ain on Thursday needing a victory to avoid a second round clash with the Socceroos in the same city. The four-time Asian Cup champions have already secured their passage to the last 16 after winning their group matches against Turkmenistan and Oman. But they trail the Uzbeks on goal difference heading into Thursday's clash, with the second-placed team in Group F to face Australia in a knockout match in Al Ain on Monday. Japanese coach Hajime Moriyasu said avoiding the reigning Asian Cup champions wasn't his motivation heading into the match. "I believe all the teams that advance to the round of 16 are strong enough," Moriyasu said. "We have a big goal, to win the championship, but we are here to win every match and do the best preparation for each match." A win on Thursday will see Japan face Asian Cup holders Australia in the round of 16. 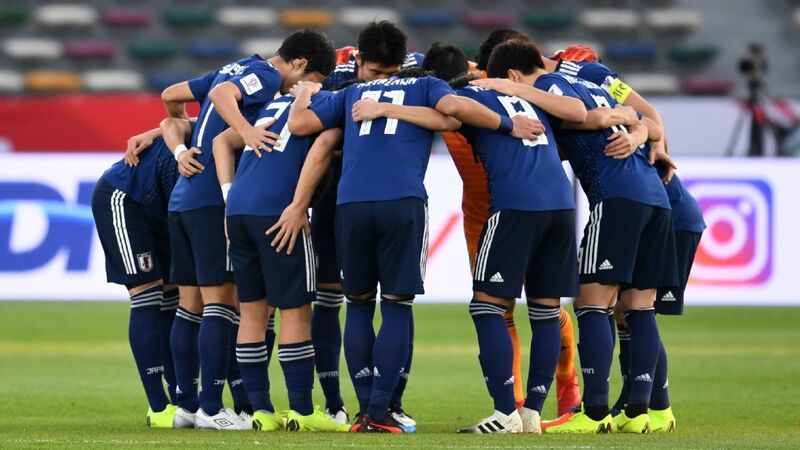 Despite the importance of Thursday's match in regards to the group position, Moriyasu intends to make several changes to his line-up for the game. Defender Hiroki Sakai, forward Takumi Minamino and midfielder Ritsu Doan are all on the verge of suspension after picking up yellow cards in Japan's two matches and could be among those to be rested by Moriyasu. "I do have the intention to have as many players as possible on the field tomorrow," Moriyasu said. "My approach for the players as well as the staff is that we are here for the big goal to win the title and each player and staff has a role in the team."